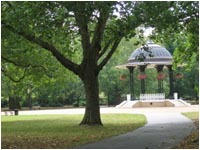 Located in Bermondsey, Southwark Park offers fantastic wide-open spaces, perfect for playing games, picnics, walking or just enjoying the scenery. The park offers a wide range of sporting facilities, a new café and an art gallery. There’s also a boating lake and wonderful gardens. Whatever you enjoy doing, there’s something for everyone.